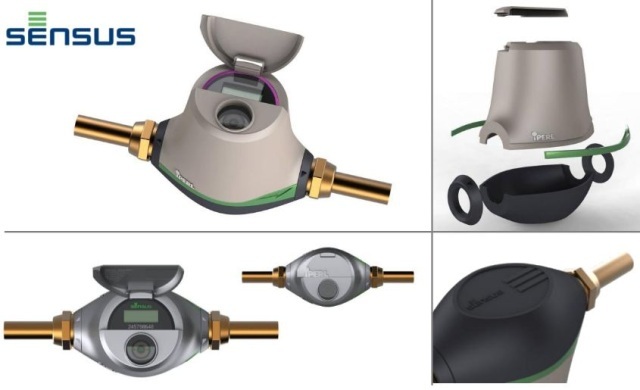 Sensus was ready to enhance its Advanced Metering Infrastructure by introducing a new water meter product line with the iPERL. However, they lacked the internal resources to develop a new product to make a statement in the marketplace, and adopt sustainable principles. 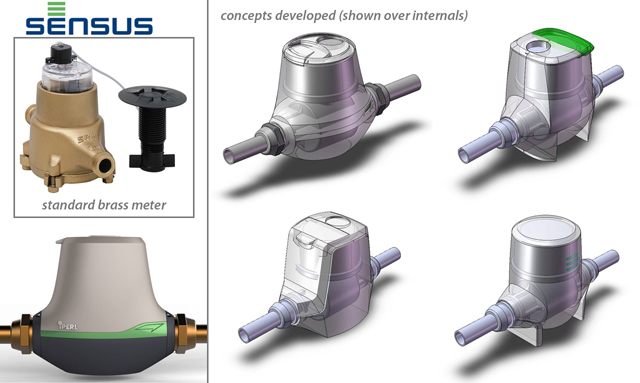 Advances in light weight composite materials, new technology in flow measurements, and digital wireless communications would be the driving factors that lead to the final iPERL design. iPERL was designed to have smooth surfaces and clean, flowing lines which conveyed the water movement inside. There was a focus on part simplification, ease of manufacturing and assembly, and a faster, less confusing installation. The color coded side band was incorporated to show the potable/non-potable water usage for safety and water flow direction. The other housing colors were chosen in an earthy palette to convey the sustainable and durable nature of the iPERL. Beyond the physical housing, there was great care taken in the digital interface which measures water flow with incredible precision. 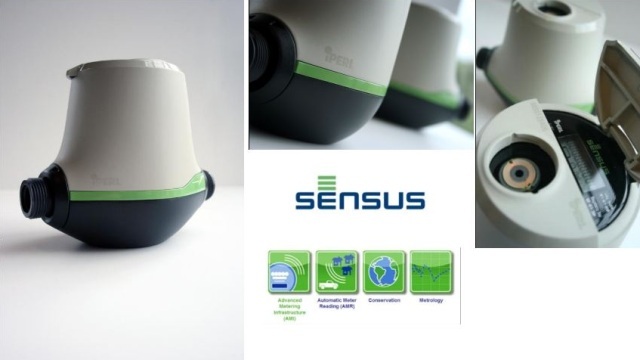 Coupled with a smart grid, both the utility company and homeowners could be alerted of potential leaks in the system, real time monitoring of the water consumption, and status of the water meter.